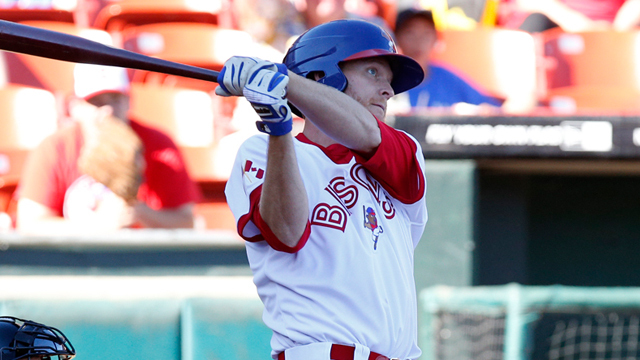 The Toronto Blue Jays today announced that they have selected to contract of Buffalo Bisons All-Star INF DAN JOHNSON. The club also announced that they have designated Bisons RHP BOBBY KORECKY for assignment. Johnson has played in all 94 Bisons games this season, three more games played than any other batter in the International League. He also leads the IL with 17 home runs and 79 walks that are the most in all of affiliated baseball and just eight away from the Bisons single season modern era record (87, Valentino Pascucci, 2012). Johnson also ranks 3rd in the International League in RBI (54), tied for 3rd in extra-base hits (36) and 4th in on-base pct. (.402) and OPS (.873). Overall, Johnson has averaged .248 (78-314) with a team-high 55 runs scored. Johnson was set to compete in the Triple-A Home Run Derby on Monday night and the Triple-A All-Star Game on Wednesday night at Durham Bulls Athletic Park in Durham, NC. Korecky, also and International League All-Star, was 4-1 with a 0.57 ERA in a team-high 36 appearances (2nd in IL). He also led the Bisons with 12 saves and 25 games finished (3rd in IL). Korecky has allowed a run to score in only three of his 36 outings and the Bisons are 27-9 in games he's appeared in. He began the 2014 campaign with a string of 17 scoreless appearances and earned two saves in one day on June 19 in a doubleheader in Columbus.